Growing up, Cynthia Lopez acted in and directed elaborate backyard plays with her sister and childhood friends. They even charged for admission and snacks. Decades later, she still appreciates the entire theater experience: the magic of a good story, the artistry of live performers, and the skill and dedication of the behind-the-scenes team. 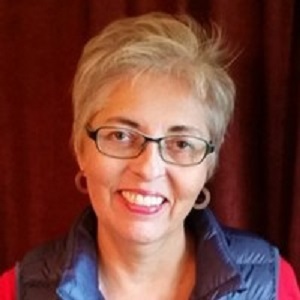 Retired from full-time work in health care, banking and non-profit management, she is now reinventing herself as a freelance writer for business publications. She enjoys escaping to the theater (or a good book) as often as possible.